Belizean governmental and private organizations and agencies involved in higher education . Non-Belizean organization, agencies, and institutions actively interested in higher education in Belize. 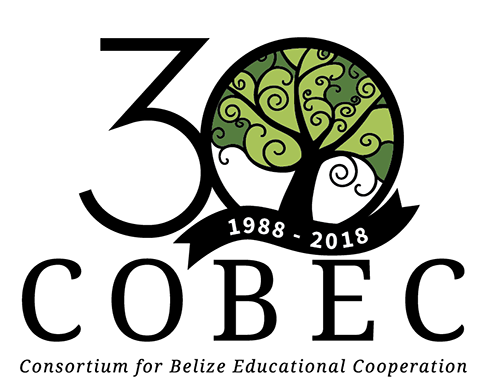 Non-Belizean members seeking membership into COBEC, please fill out the Membership Application for non-Belizean Members and send it to the COBEC US Co-Chair. Kathaleena Monds kathaleena.monds@asurams.edu Albany State University. Albany, Georgia, United States. Joyce Bergin joyce.bergin@armstrong.edu Georgia Southern University - Armstrong Campus. Savannah, Georgia, United States. Joel Clark joelclarke1961@yahoo.com Belize Adventist Junior College. Corozal, Belize. Joy Ysaguirre joyysaguirre@yahoo.com Belize National Library Services and Information Systems. Belize City, Belize. Lusiola Castillo lusiola.castillo@bnlsis.org Belize National Library Services and Information Systems. Belize City, Belize. Rick Bateman rbateman@bpcc.edu Bossier Parish Community College. Bossier City, Louisiana, United States. Lisa Battaglino Ibattaglino@bridgew.edu Bridgewater State University. Bridgewater, Massachusetts, United States. Patricia Emmons patricia.emmons@bridgew.edu Bridgewater State University. Bridgewater, Massachusetts, United States. David Ostroth dostroth@bridgew.edu Bridgewater State University. Bridgewater, Massachusetts, United States. Hugo Gonzalez cemjc07@yahoo.com Centre Escolar Mexico Junior College. Corozal, Belize. Larry Daniel ldaniel@citadel.edu The Citadel. Charleston, South Carolina, United States. Eric Spears spears_eric@columbusstate.edu Columbus State University. Columbus, Georgia, United States. James (Jim) Lynch, Ed.D., M.F.A. jlynch@ccGeorgiaedu College of Coastal Georgia. Brunswick, Georgia, United States. Jose Mai jmai56@hotmail.com Corozal Junior College. Corozal, Belize. Miguel Montero montero592003@yahoo.com Corozal Junior College. Corozal, Belize. Gonda Gebhardt gonda.gebhardt@cortlant.edu SUNY Cortland State University. Cortland, New York, United States. Nancy Adamson nadamson1601@gmail.com SUNY Cortland State University. Cortland, New York, United States. James Callaghan james.callaghan@gcsu.edu Georgia College and State University. Milledgeville, Georgia, United States. Coral Sapp carol.sapp@gcsu.edu Georgia College and State University. Milledgeville, Georgia, United States. Kirk Armstrong kirk.armstrong@gcsu.edu Georgia College and State University. Milledgeville, Georgia, United States. Lyndall Muschell lyndall.muschell@gcsu.edu Georgia College and State University. Milledgeville, Georgia, United States. Holly Roberts holley.roberts@gcsu.edu Georgia College and State University. Milledgeville, Georgia, United States. Michael Brennan mbrennan@hccfl.edu Hillsborough Community College. Park City, Florida, United States. Geoff Bradshaw gbradshaw@madisoncollege.edu Madison Area Technical College. Madison, Wisconsin, United States. Joel B. Shoemaker JBShoemaker@madisoncollege.edu Madison Area Technical College. Madison, Wisconsin, United States. Bonnie Higginson bonnie.higginson@murraystate.edu Murray State University. Murray, Kentucky, United States. Jim O’Donnell jodonnel@nmsu.edu New Mexico State University. University Park, New Mexico, United States. Angelina Palumbo apalumbo@nmsu.edu New Mexico State University. University Park, New Mexico, United States. Ed Boles edboles@nmsu.edu New Mexico State University. University Park, New Mexico, United States. Megan Popkey megan.popkey@NWTC.edu Northeast Wisconsin Technical College. Green Bay, Wisconsin, United States. John Romans john.romans@okstate.edu Oklahoma State University. Stillwater, Oklahoma, United States. Katherine Curry katherine.curry@okstate.edu Oklahoma State University. Stillwater, Oklahoma, United States. Fermin Magana fermin@shc.edu.bz Sacred Heart Junior College. San Ignacio, Cayo, Belize. Rocio Carballo rcarballo@shc.edu.bz Sacred Heart Junior College. San Ignacio, Cayo, Belize. Gustavo Ellis gustavoellisspjy@yahoo.com San Pedro Junior College. San Pedro, Belize. N/A N/A St. John’s Junior College. Belize City, Belize. Karen Martinez ecumenicaljuniorcollege@yahoo.com or grigadan@yahoo.com Stann Creek Ecumenical Junior College. Stann Creek, Belize. Amy Lynn Farmer afarmer@walton.uark.edu University of Arkansas. Fayetteville, Arkansas, United States. DeDe Long dslong@uark.edu University of Arkansas. Fayetteville, Arkansas, United States. Karl Anderson karl001@uark.edu University of Arkansas. Fayetteville, Arkansas, United States. Lynn Mosesso Mosesso@uark.edu University of Arkansas. Fayetteville, Arkansas, United States. Cynthia Thompson cthompson@ub.edu.bz University of Belize. Belmopan, Belize. Ethel Mae Hernandez Arzu ethelmae.h@gmail.com University of Belize. Belmopan, Belize. Ewart Robateau erobateau@ub.edu.bz University of Belize. Belmopan, Belize. Emilia Hodge emhodge@ufl.edu University of Florida. Gainesville, Florida, United States. Carly Wynne Womack cwynne@gsc.edu University of North Georgia. Oakwood, Georgia, United States. Denise DePuccio dipucciod@uncw.edu University of North Carolina at Wilmington. Wilmington, North Carolina, United States. Susan Catapano catapanos@uncw.edu University of North Carolina at Wilmington. Wilmington, North Carolina, United States. John Kemppainen jkemppai@unf.edu University of North Florida. Jacksonville, Florida, United States. Timothy Robinson trobinso@unf.edu University of North Florida. Jacksonville, Florida, United States. Warren Hodge w.hodge@ung.edu University of North Florida. Jacksonville, Florida, United States. Ruth Lopez rlopez@unf.edu University of North Florida. Jacksonville, Florida, United States. Susan Syverud ssyverud@unf.edu University of North Florida. Jacksonville, Florida, United States. Don Dellow dellow@coedu.usf.edu University of South Florida. Tampa, Florida, United States. Tanya Delgado Tdelgado1@usf.edu University of South Florida. Tampa, Florida, United States. Jane Bennett jane.bennett@open.uwi.edu University of the West Indies. Open Campus, Belize. Sharmayne Saunders Sharmayne.saunders@open.uwi.edu University of the West Indies. Open Campus, Belize. Ivan Nikolov inikolov@valdosta.edu Valdosta State University. Valdosta, Georgia. Deborah Davis dsdavis@valdosta.edu Valdosta State University. Valdosta, Georgia, United States. Brian Gerber blgerber@valdosta.edu Valdosta State University. Valdosta, Georgia, United States. Eleanor Gillett wesleyjuniorcollege@yahoo.com Wesley Junior College. Belize City, Belize. Sam Evans sam.evans@wku.edu Western Kentucky University. Bowling Green, Kentucky, United States. Dwight Call dwight.call@gmail.com Emeritus Member. Tracy Harrington tracyharrington@bellsouth.com Emeritus Member. Keith Miser kmiser@hawaii.edu Emeritus Member. Betty Flinchum bettyflinchum@aol.com Emeritus Member. Brenda Armstrong brenja@yahoo.com Emeritus Member and Ex-Officio Members. Carol Babb carolbabb@hotmail.com Ex-Officio Members. Belize Ministry of Education. Hon. Patrick Faber Patrickfaber@hotmail.com Ex-Officio Members. Belize Ministry of Education. Neal McCrillis nealrm@uic.edu University of Illinois at Chicago. Illinois, United States. Carrie Klima cclima@uic.edu University of Illinois at Chicago. Illinois, United States. Eve Aird eaird@galen.edu.bz Galen University, San Ignacio, Belize. David Ruiz david_ruiz@hotmail.com John Paul II Junior College, Cayo, Belize. N/A N/A Seeking Membership (2018) Peralta Community College District, Oakland, California, United States. COBEC Summer 2019 - Save the Date! July 24-26, 2019. Jacksonville, Florida. Copyright © 2013-2018. Consortium for Belize Educational Cooperation. Hosted by Valdosta State University. All Rights Reserved.